If you need to Factory Reset or Hard Reset your Asus ZenFone 5, depending on the situation at hand; here is how to Hard Reset or Factory Reset your ZenFone 5. Hard Reset is the process of reverting your phone's settings to its factory defaults using some key combinations having no need to go through the phone settings before doing so. While Factory Reset is the process of resetting your phone to its factory default settings while the phone is on Android Mode. The end result of both method is to clear or wipe off your phone, in this case, your Asus ZenFone 5. Either of these processes will cost you all the contents on your phone including your installed apps, SMS, MMS, Pictures, Videos and Movies (stored on the phone's memory). Therefore; endeavor to backup the necessary files before you proceed. 1. Turn off your ZenFone 5. 2. Now, press and hold Volume Down + Power buttons until you see some texts appear on the phone's screen then, release the buttons. 3. Using the Volume Buttons, navigate to Enter SD Download Mode and select it using the Power Button. 4. You should now be in the android recovery screen. Using the Volume Buttons, navigate to Wipe Data/Factory Reset and select it using the Power button. Navigate to "Yes..." from the options, and select it using the Power button. 5. Wait while the phone resets. Now select the option "reboot system now" using Power button. You have now successfully reset your Asus ZenFone 5 to its factory default settings from the recovery. 1. If the display is off, using the power button, turn the phone on. 2. Navigate to Menu and then, Settings. 3. From there, locate Backup & Reset and then; select Factory Data Reset. 4. From the screen, choose Reset Phone. Confirm the action by tapping Erase everything. NOTE: if you're on Android 5.X.X, you'll be shown a pass code to enter in a box. Enter it and proceed. 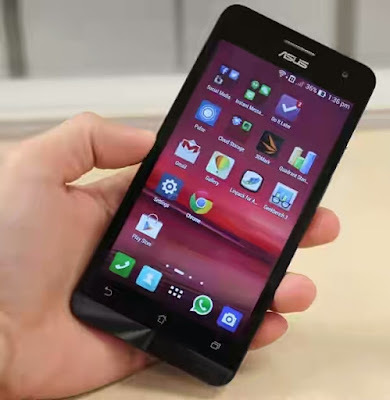 Wait while the phone is reset and by that, you have successfully factory reset your Asus ZenFone 5..